I’m always on the lookout for a good vegan crock pot recipe and this one is as good leftover as it is right out of the pot! Crock pots are one of the coolest kitchen inventions ever! Fill it up, let it cook, eat. This looks delicious! I’d love it it you’d link it up at Worthwhile Wednesdays Link Party! Cool! I’ll be adding more recipes on here for crockpot cooking. I’m always on the look out for healthy versions. Thanks for stopping by Cheyanne! Looks yummy. I really need to pull out my crockpot. I’m sad to say it’s been a few years since it’s seen any use. Mine hadn’t been used for a while either. 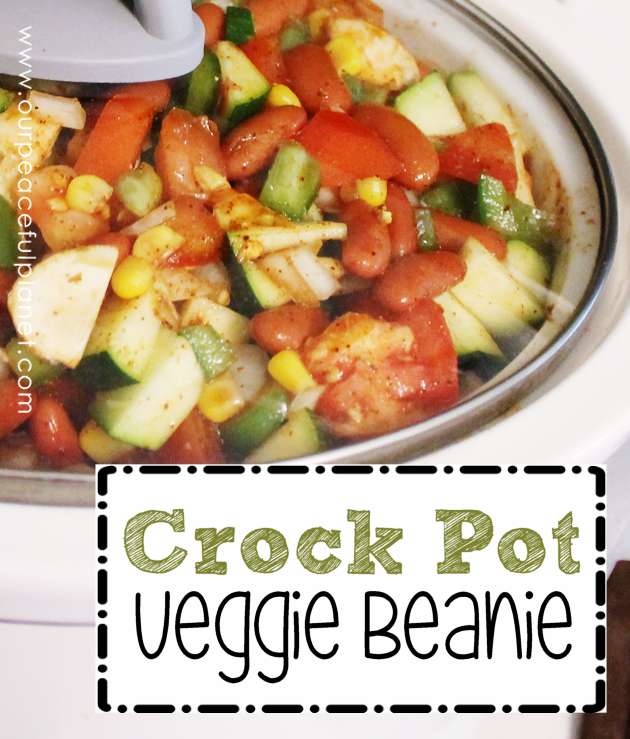 I’m hoping to add more healthy crockpot recipes on the site. Thanks for stopping by Debbie! This looks so yummy and easy to make, found you on the Modest Mom Blog, love your page! Thank you Crystal. And thanks for stopping by! Next: Small Photo Chest Makeover : Buff Your Stuff Cheap Decor Ideas!